Less than a dozen tech companies have accumulated a de facto monopoly on communication and the ready exchange of information. Increasingly, more and more people, not only in tech, but in politics and elsewhere desire to eschew the principles of free speech, let alone the more narrow legal limitations of the 1st Amendment. While online forums and a variety of sites where users can post their own content have long had some standards for which violating them could get a user banned, they have typically been for illegal or abusive behavior. However, in this brave new world, merely holding incorrect ideas is enough to be declared an unperson whose mere existence is considered a clear and present danger. From the veritable R. Stacy McCain to, more recently, Gavin McInnes, people hated by the Left are being banned here, there, and everywhere. While such bannings have become common place enough to almost be expected as a matter of course, the banning of InfoWars conspiracist (and bane of Gay frogs everywhere) Alex Jones across a half dozen or so platforms within hours of each other underscored not only the monomaniacal narrow-minded worldview of our tech overlords, but of the systemic and institutional will and power to uniformly silence dissent; now that’s institutional privilege. The particulars regarding the situation of Alex Jones’ near internet platform-wide banning have been covered elsewhere. While the banning of Alex Jones almost simultaneously across so many different platforms suggests a coordinated act of collusion, it does not prove it. While it would not be surprising for there to be actual collaboration amongst the tech oligarchs—be it as simple as a tech equivalent of “JournoList” or something more subtly sub rosa—perhaps a lack of active coordination indicates something far more invidious: A “Stand Alone Complex“, whereby individual “stand alone” actors reinforce each other towards a common goal while keeping potential dissenters in line—all without need to not only not coordinate, but even without the need to understand the particularities of the others decisions and actions. A handful of ideologically aligned tech companies hold and oligarchy of information, and can independently take cues from each other without need for coordination; this is actually far more dangerous than actual coordination. Perhaps we have gotten to a point as a society where the divisions are not only real, but wide and deep to the point where it becomes bellum omnium contra omnes? 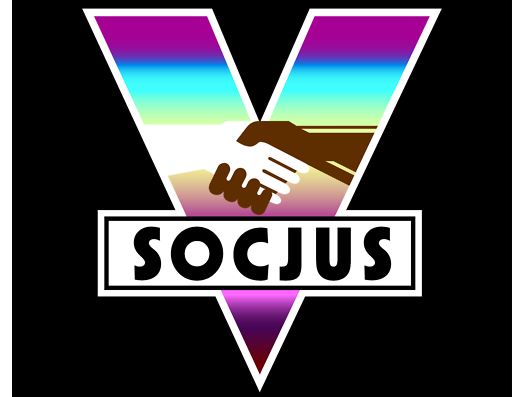 Has the proverbial “social contract” been so irreparably rent that a simple and common understanding of what truly is beyond the pale in a free and open society has been so warped that mere dissent is held as a paragon of evil to vanquished and extinguished? ‘Twould seem that both sides of this widening chasm believe in forcing the other to bend the knee, with the power of Leviathan as the form of their enemies destructor. A growing din of voices are rejecting the long held view of libertarians and many conservatives that government should not tell a private party, even businesses, what said private party may or may not allow on their networks. Perhaps it was inevitable that those who felt the jackboot of the state telling them to bake the proverbial cake to turn around and stop worrying and learn to love Leviathan. Indeed, we are already heading down that path: The lawsuit to stop President Trump from blocking people on Twitter has resulted in a court of law referring to Twitter as a public forum where 1st Amendment rights are protected, rather than a private forum that can be more restrictive; similarly, arguments have been stealthily advanced to have these tech giants’ social media empires be legally deemed “carriers“, which would put them squarely under government regulation in regards to content. Ted Cruz already set this argument up when Zuck was testifying before Congress were he all but said they were a carrier. Someone just needs to connect the words of Zuck to a banning that is clearly and unequivocally because of opinion. But Alex Jones is not that person. As much of a slippery slope as this may seem to set us up for, others on the other side of the ail, including sitting United States Senators, have already called for the tech giants to “do more than take down one website”. It is not clear just how this situation will devolve, only that it likely will. Both those who pushed the “new rules” and those who feign a decrial of said “new rules” while gleefully adopting and embracing said “new rules” will likely not like the result, even one side or the other achieves some sort of “total victory”, for what is lost is not readily gained again, especially when the victors and losers alike have embraced the annihilation of the right to be wrong. This entry was posted in Progressives and tagged Democrats, DOOM, GOP, Leviathan, New Feudalism, Social Justice. Bookmark the permalink.